Federal Government promises not to gag the Nigerian media in its fight against Fake News – Royal Times of Nigeria. 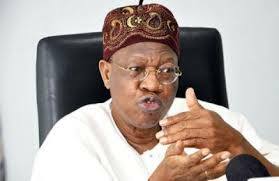 The Minister of Information and Culture, Lai Mohammed, has assured Nigerians there will be no censorship or coercion of any media organization in the government’s fight against fake news and hate speech. Mr Mohammed gave the assurance when he featured today on a national television program. He said the fight against fake news is a global trend with many technology companies like Google, Facebook, twitter and whatsApp also involved in the fight globally. The minister added that the existing law will be strengthened and enforced to stem the tide of fake news and hate speech, adding that the law will be allowed to take its course. Mr Mohammed said that the essence of launching the campaign against fake news was to sensitise Nigerians on its dangers and encourage everyone to get involved in the fight. He said fake news poses serious danger not just to the peace and security of a nation, but also it threatens the very corporate existence of a nation. He also urged the media to always be sure of their sources, adding that even when story sources are identified, things that could divide the nation should not be emphasised.